Recent investigations of poultry production plants in the U.S., Canada and the U.K. have revealed a world of suffering and filth so dirty and deep that no dystopian fantasy can compare with how a package of slaughtered birds ends up in a store. To view these investigations, see Pilgrim's Shame: Chickens Buried Alive, Secret Video Shows Baby Turkeys Ground Up Alive by Butterball and Revealed: the dirty secret of the UK's poultry industry. If commiseration with animals raised for food is still largely taboo in conventional society, I think most people are aware, deep down, that a piece of animal flesh incorporates a terrible story. Often they will say, "Please don't tell me about it; I don't want to know," meaning they don't want to hear what they already know. But let us not be silent. 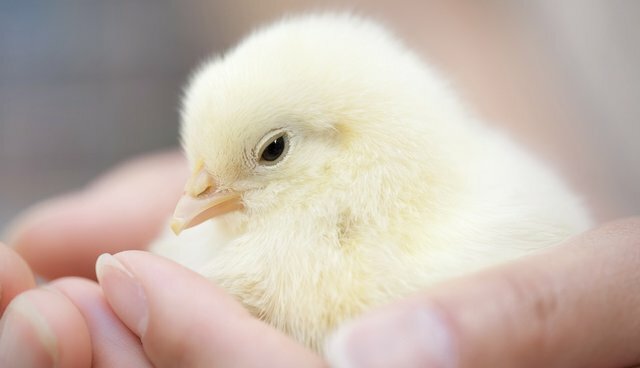 More than a few people believe that when we eat the flesh and eggs of creatures who have been treated with complete cruelty, we assimilate something of their experience and carry it forward into our own lives. In Diet for a New America, published in 1987, and as timely now as it was then, John Robbins asks us to consider the consequences of eating the results of the misery he describes in birds raised and slaughtered for food. Could it be, he asks, that when we consume the flesh and eggs of these birds, "something of the sickness, misery and terror of their lives enters us? Could it be that when we take their flesh or eggs into our bodies, we take in as well something of the kinds of lives they have been forced to endure? Instinctively, I can't help but believe this is so." Understandably, one does not like to think that the dead bird one is about to consume embodies the suffering of the bird when she or he was alive. So far, all that society has required is that the events that produced the carcass or eggs be removed from consciousness. The possibility that the individual's suffering could somehow persist and be present in the muscles, "juices," and ova about to be ingested is frightful, but is it fanciful? In 2004, a woman named Laura Alexander described her experience of entering a chicken slaughterhouse for the first time in Arkansas. Of the hanging cage at the entrance where the birds are ripped from the transport crates and hung upside down to begin their final journey through life, she wrote: "You know, I had prepared myself to feel disgusted, sad, and uncomfortable, but nothing could have prepared me for the way I felt. It was like this wave – this wall – of negative energy hitting me in the face when we opened that door. The only thing I can even try to compare it to would be that feeling you get in places like hospitals or jails, where there is suffering and death, dread and fear. Well, take that feeling and magnify it by at least 10 and you will have maybe an inkling of what I felt at the door of that room that day. I couldn't leave fast enough." Regardless of how thoroughly the corpse is washed in chlorine and other chemicals at the slaughterhouse, or how distant the store or restaurant may seem from where a bird gets transformed from a conscious individual into a poultry product, that feeling permeates the body wrapped in plastic and covered in sauce. Possibly, when the material components of contamination have decomposed, the one unextinguished contaminant is the invisible experience of an ingested bird, or of many birds, whose terror, pain and abuse while alive are bound with feelings we have that can never heal until we wash our hands and say of the bird about to be eaten, I am done with making an animal's misery a part of my meal and my being. I am done with having another human being go to work in a slaughterhouse or a hatchery because of me. From this moment, my food is animal-free.